Welcome to Dr. Sylvia's Website! 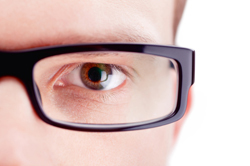 We accept most insurances and vision plans. Call for your convenient appointment..
Visit AllAboutVision.com for complete information on eyeglasses, contact lenses, LASIK & vision surgery, sunglasses, macular degeneration, cataracts, glaucoma, low vision, pink eye, and much more. We are located directly across from the Porter Square T stop on the Red Line in the Porter Square Galleria. We have plenty of FREE parking in the rear of the building off White Street. We participate in and provide services for most HMO's and Insurance plans.